We go to the theme well once more on Deeper Roots, this time with music that explores the tincture of hadacol, the sick bed blues, the boogie woogie flu, measles, whooping cough, and snake oil…all in a show full of the very best of music about being sick in bed and sending for the doctor from the last century of big band, jazz, country, blues, and rock. 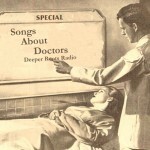 18 South Memphis Jug Band Doctor Medicine Folks, He Sure Do Pull Some Bow! We’re going to go pretty deep this coming Saturday morning here in Western Sonoma County. It’s a mix of old time and tradition with a few themed sets including social sciences, the labor blues, calypso rhythm, minstrelsy, and some special sounds from Ira and Charlie Louvin. Performers this week include Darby & Tarlton, Riley Puckett, Fern Jones, Arizona Dranes, and a pair each from Ry Cooder and Harry Belafonte. It’s a “Great Dream From Heaven” for KOWS listeners on an August morning in Occidental. Broadcast on KOWS 107.3 FM on August 22, 2015. Deeper Roots heads down the long hot stretch of 99 to California’s Central Valley to visit the country sound that blew in from every direction…starting with the Dust Bowl. Bakersfield was a first step, a way station, for migrant workers coming into California to escape hard times in the Midwest; their treatment by the small minds of fearful communities being little different than those migrants we think of today. “In the years following World War II, Bakersfield had plentiful honky-tonks including the soon-to-be-famous Blackboard Cafe. People drank, danced, and even fought to Western swing music.” The sound of Nashville began to become watered down, losing its appeal to some who thought it had lost a reverence for the heart and soul of working class Country. 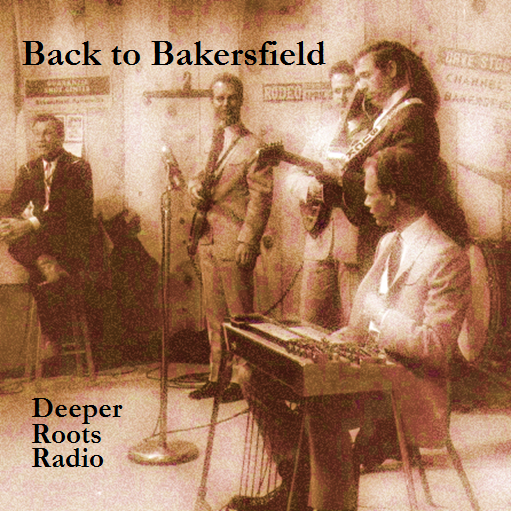 We’ll hear from Buck Owens, Merle Haggard, Wynn Stewart, Tommy Collins, and Billy Mize and tip our cap to a great book on the subject of the Bakersfield sound and the history of Country Music: Workin’ Man Blues written by local author and Central Valley native, Gerald Haslam. 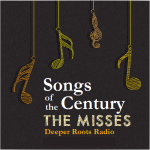 Join us on our second of two episodes exploring the Top 30 songs of the 20th century as it is so suggested by the Record Industry Association of America (RIAA)…this time, however, Dave Stroud suggests 30 that he believes were worthy of the list but which either a) did not make the list or was b) buried further down the larger list of 365. The fun continues. Last week we discovered that “Over the Rainbow” was #1 and that “Rhapsody in Blue” was nowhere to be found on the larger list. 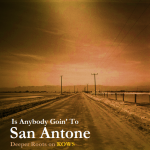 This week we get payback and find songs like “Blue Moon of Kentucky”, “Rocket 88″, and “West End Blues” our own list. Our list too is not without controversy. 4 Paul Robeson Ol' Man River Columbia Records' 125th Anniv. 9 Bill Monroe & His Blue Grass Boys Blue Moon of Kentucky Columbia Records' 125th Anniv. 24 Bob Wills & His Texas Playboys San Antonio Rose Columbia Records' 125th Anniv. 26 Billie Holiday God Bless the Child Columbia Records' 125th Anniv. 28 Louis Armstrong & His Hot Five West End Blues Columbia Records' 125th Anniv. We’re filling in once more for Mark Hogan and his Bluegrass and Old Time Hour. 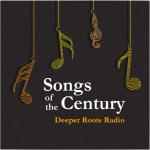 This week, we’ve put together another two hours of music that spans close to a full century…including Cliff Edwards from 1933, Woody Guthrie, Jimmie Lunceford, and Dave Van Ronk (just to name a few). 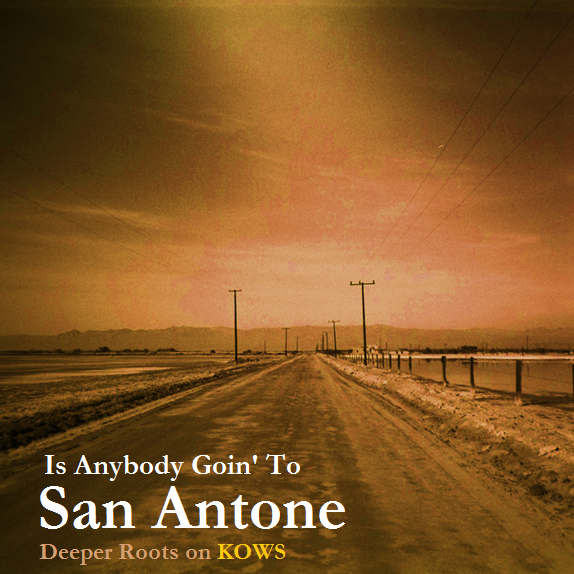 There will be some themes and schemes built into our sets this evening including the story of Caldonia, the Texas town of San Antone, and heading down a dusty road of a century of America’s music. The Record Industry Association of America (RIAA) produced a list a few years back that they called the “Songs of The Century”. It was concocted based on a questionable set of sampling and was to represent and “promote a better understanding of America’s musical and cultural heritage.” The voting pool was a strange mixture elected officials, school students and teachers, as well as industry professionals. The respondent pool was about 200. The list is woefully inadequate but certainly worth discussing. 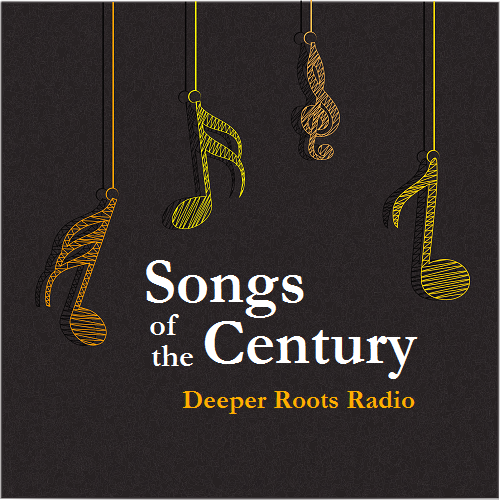 Deeper Roots will spend this week exploring the top 30 (of 365) and follow up with its own list in a second episode next week. 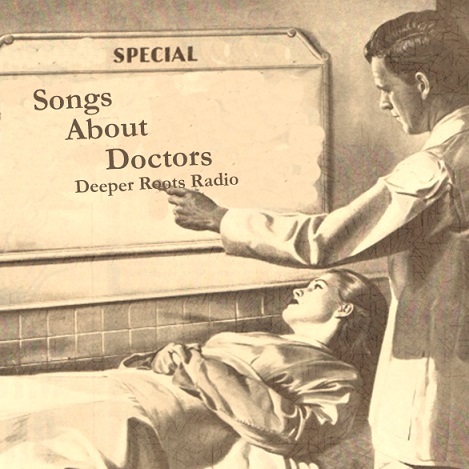 Listen in as we stretch the imagination. It’s a joy to queue up a century of America’s music every other Saturday morning in West County…live from the heart and voice of West Sonoma County’s KOWS studios in downtown Occidental. 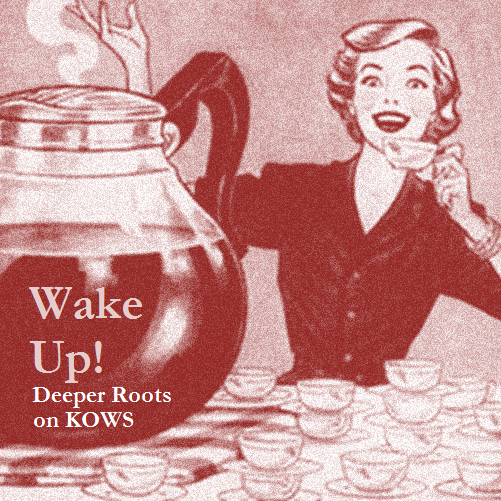 A common theme will run through this morning’s show and it’s all about waking up: gospel’s Mahalia Jackson and When I Wake Up in Glory, Roy Milton and the Wake Up Blues, James Brown’s Get Up Offa That Thing … and more! 8 James Brown Get Up Offa That Thing 20 All Time Greatest Hits! Mark Hogan’s Bluegrass and Old-Time Hour is on hiatus for two weeks while Mark is back in Galax, Virginia checking out the summer activities including a Fiddler’s Convention. 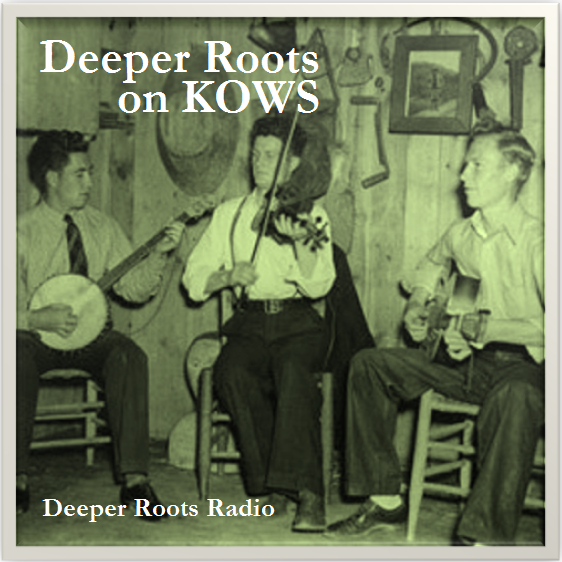 And we’re going to honor his muse this week, the first of two Monday episodes where Deeper Roots fills his spot in the schedule on KOWS. We’ve got plenty of bluegrass in the first hour featuring new music from Trout Steak Revival and classics from Bill Monroe and Mac Martin. 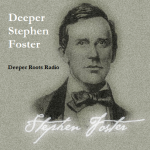 Our second hour rolls out a run of Stephen Foster covers done by Jack Clement, Jonathan Edwards, The Sons of the Pioneers, and others. 14 Blue Grass Boogiemen Goin' Up Caney Who's Afraid of the Boogiemen? 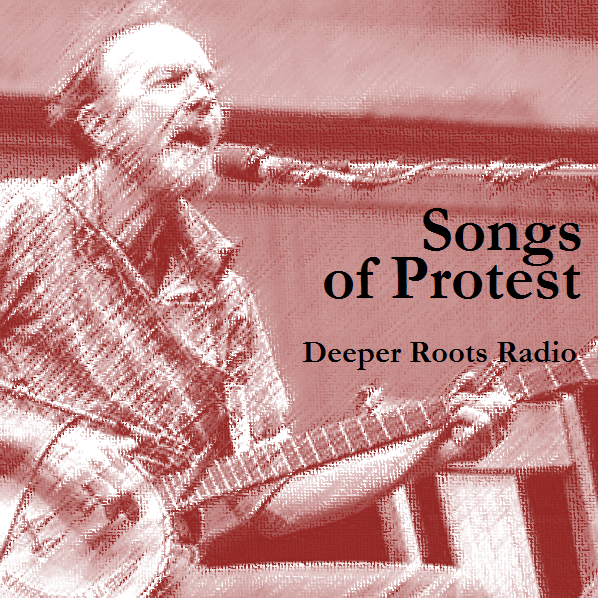 This week’s show on KWTF runs down a century’s worth of protest music. We’ve got some of the familiars, but we’ve also got some of the not-so-familiars. Out playlists will focus on a couple of the major issues of half century ago that we find ourselves embroiled in today. We’ll hear civil rights anthems and performances from some of the more emphatic musical voices of the sixties that were railing against a war. 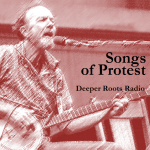 You’ll also hear topics of union organizing and social justice including the sounds of Nina Simone, Bob Dylan, Billie Holiday, Pete Seeger, the SNCC Freedom Singers, Marvin Gaye, and many others.